In Canada, everyone recognizes the large telecommunications companies – Bell [TSE:BCE] , TELUS [TSE:T], Rogers [TSE:RCI.B] and Shaw [TSE:SJR.B] (after the purchase of WIND) – and everyone uses them for internet and as a cell phone service provider. Cogeco [TSE:CGO] also provides internet and telephony services in Eastern Canada and parts of the United States. Bell, Rogers and Shaw also control most of the media in Canada – along with Quebecor [TSE:QBR.B] – from Sportsnet to the major Toronto sports teams to CTV to BNN, so the distinction between Media and Telecom is blurred unlike in the US where networks are large enough to be their own companies. Most Canadian content is unpopular globally and in terms of Canadian appetite anyway (everyone likes to watch the Super Bowl instead of the CFL and original Canadian content has never taken off like a Breaking Bad). These firms are large, utility-like businesses who deliver traditional landline communication services including telephony, internet, and TV. This segment is classified as Wireline. As communication mediums evolve, the world has shifted more and more into Wireless transmission of data and information. These may involve large cell towers that transmit this data to personal devices through certain frequencies. Broadly, Wireline is widely regarded the cash cow and Wireless is the growth of the industry. Historically, telcos have operated as monopolies or duopolies in their core markets and telcos stuck with phones while cablecos stuck with TV. This has completely changed due to economies of scale and bundling – alongside continuous consolidation in the industry. TELUS is the successor of Western Canadian Crown Corporation telcos (and the Clearnet purchase), but has aggressively moved into cable and internet while expanding to the East Coast (hosting a recent Annual General Meeting in Montreal). Shaw has historically been a pure cableco in Western Canada but has shown intentions to become a fourth major carrier with spectrum auctions and the acquisition of WIND Mobile. Bell has purchased MTS (in Manitoba) and had to sell certain assets to TELUS for anti-trust purposes. All carriers are now national carriers. 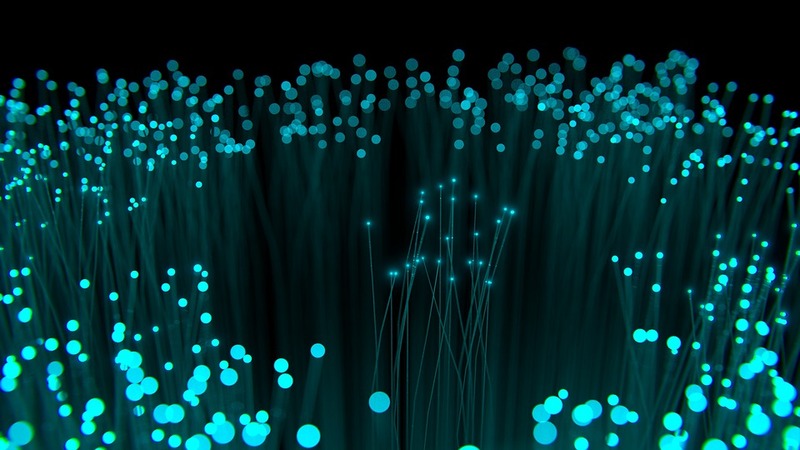 Wireline is the legacy business of telecommunications firms. Previously, everyone had a home phone and paid a premium for calling long-distance. Suffice to say, this is not reflective of the current landscape. A substantial amount of capital expenditures is required to wire to millions of households in Canada, especially given the level of urban density in North America vs a South Korea – and the need for fast Wi-Fi (Gigabites per second) has seen the second manifestation of wire buildout (Fibre to the Node/FTTN and Fibre to the Home/FTTH) as consumers demand connectivity. Wireline is undergoing secular decline as physical disintermediation continues, so incumbent carriers have to provide new value added services to offset consumers switching from cable to Netflix (NASDAQ: NFLX) or getting rid of their home phone altogether (the internet has provided Voice Over Internet Protocol, starting with Skype (NASDAQ: MSFT)). An attempt by Canadian firms to become a player in the streaming media content market via Shomi (Shaw and Rogers) was not able to compete with HBO, Netflix and Amazon. TELUS and other providers are looking to add managed solutions and data optimization for businesses which cannot be easily sold to consumers – and continuing to bundle services together to keep ARPU and # of customers from declining. In an interesting twist, TELUS and Shaw have entered into real estate ventures and have build luxury mixed-use condominiums (where everyone uses either TELUS or Shaw internet and phone). Carriers continue to try to get the best content for HDTV services (i.e. TELUS Optik TV) to keep consumers from leaving and coming up with new Wireline initiatives that may not even be traditional Wireline (TELUS has expanded into Healthcare, where is a market leader). However, very little is stopping customers from purchasing a large Wi-Fi package and broadcasting high definition internet on a powerful display monitor from an OEM (Samsung) – Carriers have to find the sweet spot for pricing bundles so that customers end up taking TV and Internet (i.e. 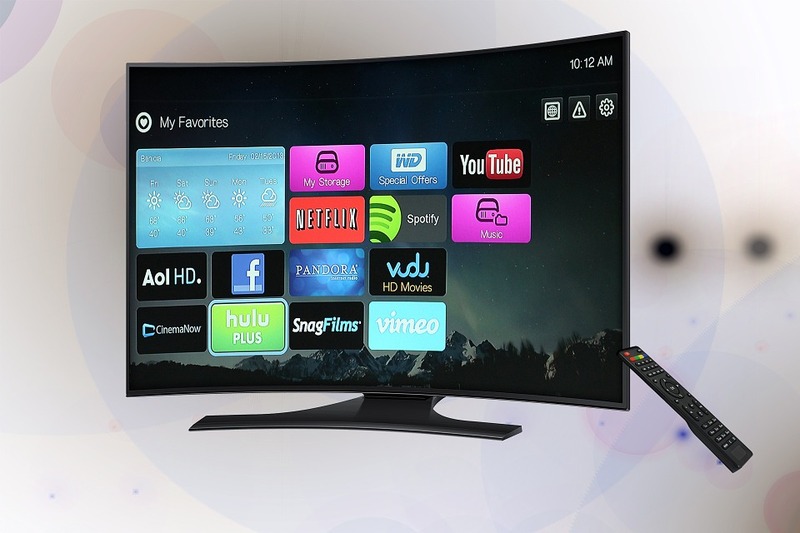 TV for $90 or TV and ultra-high speed internet for $110). Cord cutting continues as traditional cable market share falls and Netflix and Amazon become the choice mediums for entertainment. The world continues to move towards freestanding devices for communications – everyone has a smart phone and for much of the emerging market world, a smart phone is the first household computer – meanwhile Canadians have one of the highest rates of smart phone penetration in the world (although less than Americans, where usage is more than 100% – or people have more than one phone on average). The incumbent telcos have been diligent in rolling out 4G access with almost all of Canada having LTE coverage. Smartphone sales are a part of the wireless segment and tend to rise when hot new models come out (latest iPhone, Galaxy Note) – depending on the bargaining power of the OEM (Apple), this can either be a revenue generator for the telco or a loss leader (when bundled with a pricier data package). Data sales are now the major driver of revenue growth for Canadian telcos – and although yesteryear’s data package continues to get cheaper, telcos continue to boost revenues by offering faster download speeds and more data. To meet the demand, telcos must continuously invest in spectrum, which is auctioned off by the Canadian government. Traditional voice services for the smart phone are ironically in decline as options to communicate through WeChat, LINE, Facebook or WhatsApp are readily available and offer flexibility for long-distance, video capability and conferencing. As such, voice is bundled into a data package. However, like talk and text packages of last decade, telcos continue to look for postpaid customers – ones that pay at the end of their billing cycle every month, as this allows for recurring income. 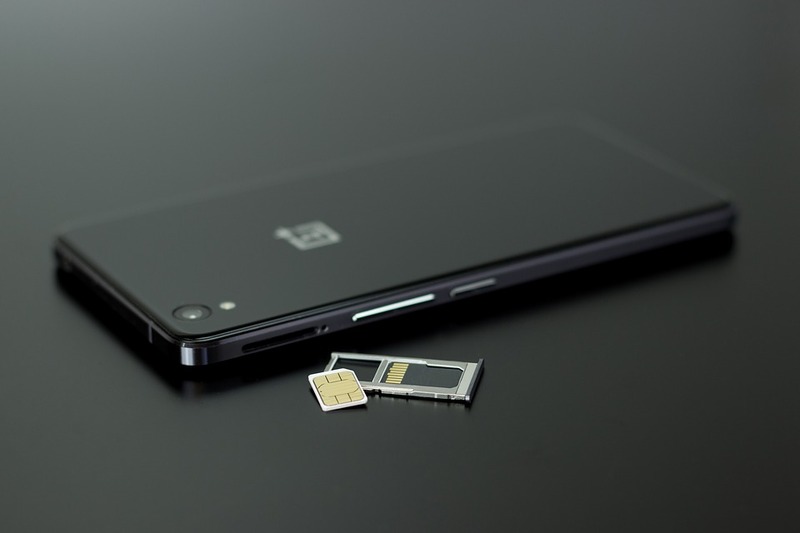 Prepaid additions (pay-as-you-go or a $30 worth of calling and data plan) are good for short-term revenue as they have higher margins but are not sticky. An interesting distinction between the US and Canada is that the cell towers are mostly owned by third party REIT like structures in the US (Crown Castle International and American Tower), while in Canada, the towers are owned by the Telecoms (TELUS and Bell tend to share theirs while Rogers has their own). From an economic surplus standpoint, having shared cell towers is better so the infrastructure for mobile transmission does not need to be built twice – however from a Canadian business standpoint with incumbent telcos, it helps to keep other carriers out of the market (Canadian telcos have traditionally run certain parts of the country as a monopoly or duopoly). If population density grows, it may be possible that the telcos spin-off the towers in a sale-leaseback transaction and we see wireless tower REITs. Telcos have large workforces and have sizable fixed assets and costs – it is an industry with large barriers to entry and large benefits to scale. As a continuously changing industry with high risk of obsolescence, telcos undergo large capital expenditure programs which result in a large depreciation expense (as such free cash flow is more appropriate to look at than EBITDA in a lot of cases). Telcos also must hire large numbers of sales staff both in physical retail locations and call centres, and incentivise the sales staff to convert customers and upsell plans. On the back end, customer service centres and the infamous retention division are required to reduce churn. A lot of data analytics are run so that wait times are optimized and strategies are devised to keep customers. Standard multiple of cash flows – Telcos are non-cyclical and have large operating cash flow, which boosts EV/EBITDA multiples, but are also not necessarily a high growth industry, depressing the multiple. This is preferred over price/earnings as telcos have large capex spend upfront and reap the cash flow going forward – however, since capex is required every year to keep up to date with technological demands, FCF yield may actually be a better measure. Free cash flow/Market capitalization – a measure of how quickly the equity value of the firm would be “paid back” through free cash flow. Free cash flow gives a better indication of the actual financial health (cash) vs earnings, which may have noise from interest and depreciation (and more, if it is not adjusted for items such as FX and impairment). Telcos are big dividend payers and Canadian telcos try to raise their dividend regularly (and much of the Canadian retail investor base want dividend income stocks). The dividend discount model is a good alternative in times when telcos have large forecasted capex spend to improve their network infrastructure or to purchase spectrum when a standard unlevered discounted cash flow model faces large negative free cash flow in the first few years. In Canada, Telcos are not pure plays and are conglomerates that encompass media and entertainment. As such, a NAV model that strips out other sources of capital other than equity from a sum-of-the-parts valuation is standard for Canadian Telcos. TELUS operates in Wireless and Wireline, but we are going to further segment Wireline to divisions that do not classify as traditional Wireline (TV, Internet, etc.). For illustrative purposes, Wireline, Wireless and Health are steady, non-cyclical operating businesses without lumpy cash flow streams. Each of them are value on an EV/EBITDA basis. Wireline is a declining or stable cash cow while Wireless and Healthcare are perceived to have more growth prospects. Each EV/EBITDA is benchmarked to a relevant peer group and adjusted for growth potential and other factors. Wireline peers currently trade at 8x EV/EBITDA, but TELUS is more innovative with their wireline, so they should trade at 9x. We assign a value of $90. Wireless peers trade at 9x EV/EBITDA, but TELUS has better customer service and has historically grown faster by taking more market share. We assign a value of $120. Healthcare peers trade at 10x EV/EBITDA and TELUS is considered in-line with peers. We assign a value of $30. 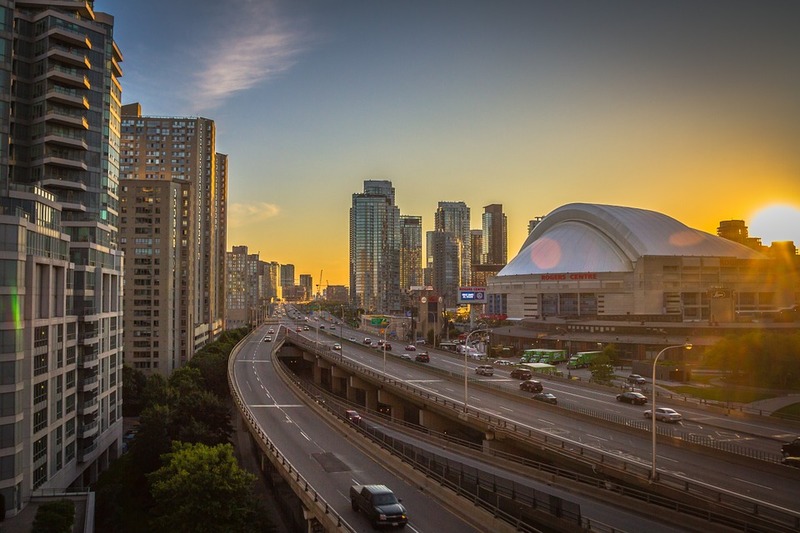 TELUS is expected to sell the real estate at varying points in time, so the value of the real estate will be a discounted value of that future sale price – $10. Summing all of TELUS’ divisions, the asset value of the firm is $250. TELUS has debt at the corporate level of $100 and preferred shares totaling $20. TELUS has $30 in cash. The equity value for TELUS is $160. Telus has 100 shares outstanding, so the value of one share is $1.60. Calculated as total revenue over number of subscribers, Telcos want to see this number go up (this is the price function in revenue), and generally provide a “blended number” for all subscribers and then a breakdown to Wireless ARPU and Wireline ARPU. As data becomes cheaper and cheaper, Telcos have to market higher usage and more convenient plans, fees for unlocking phones, special cross selling etc. Wireline ARPU is harder to boost as it is declining, but new offerings such as HDTV and using tactics to bundle products are evaluated on a regular basis. Subscribers are the volume function of the revenue equation, and are split into Wireline and Wireless, and from there pre-paid and post-paid. Wireline can be split into internet and TV, with overlap. Telcos are looking to boost subscribers in Wireless (wireless penetration is beginning to slow down, but the market share gets bigger with population growth). Wireline is falling off as consumers switch to Voice Over Internet Protocol (VOIP) and Netflix. Post-paid numbers are more coveted than pre-paid as they are usually recurring revenue. Gross Additions (new signups) and Net Additions (new signups less customers who have unsubscribed) are also measured to look at marketing efforts, pricing strategy and retention over the evaluation period. When a customer signs up for 2 years with a big data plan for $70 per month, they can receive a free Samsung Galaxy S7 or an iPhone 8 for $50. The cell phone still costs the carrier money, so the cost of acquisition is the cost of the device less what is charged to the customer. Churn is the % of subscribers that stop using the service. Churn rates are measures of customer satisfaction and discounted deals (if a carrier offers very low rates for data for a few months, this may entice customers to defect). The famous customer retention division exists as a last resort to keep customers from cancellation. TELUS tends to have the lowest churn in Canada with ~1%, in-line with broad consensus on customer service. Capital expenditures over revenue, which can also be segmented into Wireless and Wireline. This is a good illustration of how much of the revenue is poured back into reinvesting to keep up to date in a rapidly innovating industry. A high capital intensity means that there needs to be better execution or cost discipline in the capex, or the pricing and marketing strategy is not adequate. Usually higher for wireline due to the physical cost per user (vs a tower that services many smartphone users). For reference, TELUS’ blended capital intensity is ~20%. Telecom companies are stable, cash flow generating firms with large, long-lived fixed asset bases – accordingly they take on more leverage than a cyclical firm (such as oil and gas). Most major telcos are solidly investment grade – all major Canadian telecommunications firms (Bell/Rogers/TELUS/Shaw) have investment grade ratings in the BBB range, but Cogeco and Quebecor are sub-investment grade. There is a plethora of telecommunications debt out there and ample appetite for their paper. Quebecor, Shaw and Rogers are all family-controlled firms and will always follow corporate initiatives that serve the controlling shareholder. Of note, Rogers holds a large stake in Cogeco and the Shaw family controls Corus Entertainment. All telcos have strong treasury divisions who aggressively look for the best financing for debt. Telcos accordingly issue across a wide variety of currencies, tenors, amortizations and coupons. Telcos tend to be aggressive with return of capital initiatives (share repurchases and dividend hikes), often fuelling it with debt in the US, where debt issuances for recapitalization is common (A Canadian issuer trying to do this would probably not see the same level of demand as a refi and would likely pay a much higher coupon). Accordingly, many smaller telcos in the US are deep into sub-investment grade, especially if they are focused on wireline only (which is perceived to be a declining segment). Scale – Telco scale is one of the largest factors in evaluating their expected loss. The larger the telco, the more diversified their revenue streams geographically and across segments – Rogers for instance has their wireline phone business, business services, ownership of the Toronto Blue Jays and a major stake in Maple Leaf Sports and Entertainment (Maple Leafs, Raptors, Toronto FC). A huge service area and asset base also means higher recovery factors should there be default. Larger telcos again have sophisticated and well connected treasuries who will have the best access to capital markets (equity and high-yield debt) should firm specific problems arise. Being a large incumbent carrier means that there is buyer power when negotiating handset/smartphone sales with major OEMs, regardless of whether they are yesterday’s (Nokia), today’s (Apple) or tomorrow’s (Oppo). Rogers, Telus, Shaw and Bell also have strong supplier power as options for consumers are more limited than in jurisdictions such as Hong Kong, where there are 10 major carriers that are far more cutthroat. Customer count is a good measure of scale, but the business mix should also be evaluated – how weighted is the tilt towards commercial customers (corporates) versus personal? Commercial customers tend to be more sticky and are large fixed blocks of continuous revenue; personal customers have much higher churn rates and lower ARPU (long-distance and travel may be more expensive for individuals, but how much long-distance and travel do business customers use?). As mentioned earlier, telcos are in an extremely capital intensive industry and smaller players may not always have operating cash flow available to fund capex – in which case if external financing is not available (debt/equity), the telco is dead. Regulatory – Depending on the jurisdiction, this can be a credit negative or positive for the Telco. In a monopoly setting with one state-owned Telco, the benefit of having state support is weighed against unclear financial reporting and honoring of contracts. In Canada, the government is more populist, which can be a credit negative for the incumbent telcos, as rules are sometimes arbitrary with who can bid on spectrum (recently Quebecor, not a major player, was the only available firm not barred from bidding in an auction) as the government wants to promote competition. Telcos are also forced to provide service to rural and other unprofitable areas in Canada, which hurts the bottom line. EBITDA Margin – Ensuring that EBITDA margins are healthy in an industry where technology is quickly getting old is paramount. This is especially important in Wireline, the cash cow which has large fixed costs but has customers falling off. Leverage – Debt/EBITDA is often looked at as it evaluates the ability of the telco to service debt. Telcos can again afford more leverage than cyclical firms due to large and stable cash flows. Recall that EBITDA does not directly consider interest service and does not at all take into account return of capital. As such, interest coverage and free cash flow after capital payments to debt (if the EBITDA is high but entirely used on dividends and repurchases, this is a credit negative) should also be looked at, respectively. When looking at telco debt, it is better to look at it on a gross basis rather than netting out their (often large) cash balances. This is because creditors cannot foresee the telcos using the cash possibly being used on spectrum purchases or infrastructure capex (or even a large shareholder friendly dividend hike or share repurchase) if the cash is unrestricted and there are not prohibitive covenants. Taxation and Government Requirements – Telcos are often in spats with the Canada Revenue Agency over how much they owe. With spectrum purchases, decommissioning liabilities and tax obligations, Telcos will often need to put up collateral, which may be in the form of cash. Liquidity is often cheaper than cash (especially for large, investment grade Telcos) and they may choose to satisfy this requirement with Letters of Credit from Big 5 Banks.